Dutton-Goldfield Fox Den Vineyard Pinot Noir Green Valley - Deeper hued, blue fruit aromas, a bit tannic, high acid. Baletto Sexton Hill Pinot Noir Sebastopol Hills - Fruitier with cranberry and cherry, leaner, more chiseled, bright acidity, lingering finish. 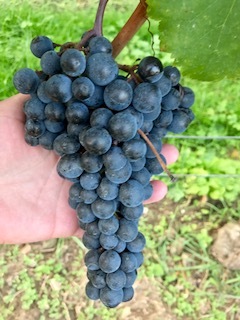 Dehlinger Goldridge Pinot Noir Laguna Ridge 2013 - From the south side where it historically gets riper. Sweet red cherry/berry aromas, moderate acid with fennel and peppercorn in the finish. Moshin Halo's Hill Pinot Noir Santa Rosa Plain 2013 - Less complex, more pure fruit. Raspberry, red cherry aromas, flavors and finish with a light floral note; fresh and easy. Porter Creek Hillside Vineyard Pinot Noir Middle Reach 2013 - Less aromatic, more herbal aromas and flavors over cherry, firmer tannins, less acid, long finish. Wind Gap Syrah Sonoma Coast 2013 - Fresh with raspberry, pink peppercorn and a slight green note with a lingering finish. Anakota Dakota Knights Valley 2012 - Blackberry, high tannins, somewhat muted aromatically. Vérité La Joie Sonoma County 2013 - Rich ripe blackberries with an earthy note, a firm tannic structure; fresh, big and Bordeaux-esque. I also tasted the Hanzell Pinot Noir Sonoma Valley 2000 (pictured) but did not write down any notes on it. All high quality, highly recommended wines, some more ready to drink now than others. Wines tasted on December 7, 2016. 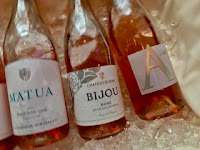 Tasting Rosé with Gillian Balance M.S. Southern Glazer brought in Gillian Balance to teach a Rosé Masterclass at their tasting in Houston last week which featured 100 rosé wines from around the world. The class focused on six wines in a New World vs Old World format. Balance reminded attendees that rosé was not only the original red wine for the world's earliest wine makers, it is also one of the fastest growing styles of wine today. It has always been universally loved for its versatility with food. Served chilled, the weight, freshness and slight bit of tannic structure make it an excellent pairing partner for an array of food options. 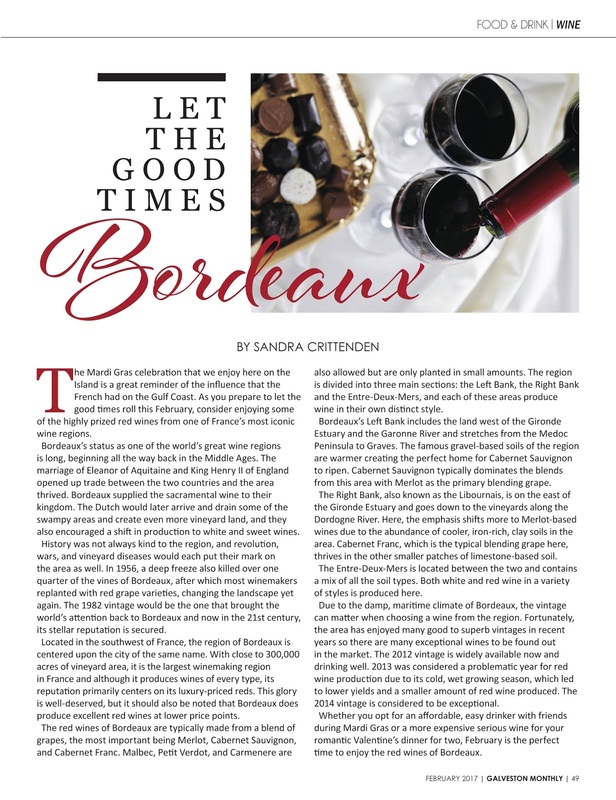 While wine drinkers can find some typicity in the rosé wines of Provence, when they venture into New World regions, they may encounter a wider range of styles. 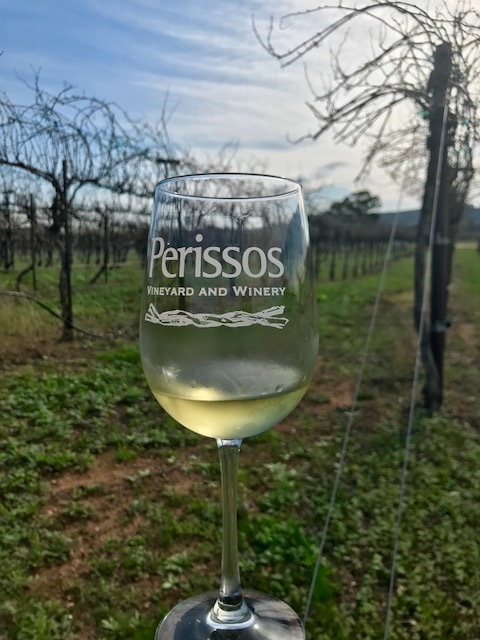 Grape variety, climate and winemaking practices will all affect a wine's flavor profile. Matua 2016 - This pale salmon colored wine is made from Pinot Noir from Marlborough, New Zealand. It is fresh with crisp acidity, fruit-driven with cherry aromas and tart cherry flavors with rose petals and an herbaciousness in the finish. A steal at $13 a bottle. 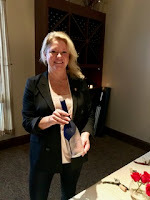 Chateau St Jean Bijou 2015 - This North Coast California wine is a blend of Barbera, Pinot Noir and Grenache which gives very fruity red berry/cherry aromas and flavors, soft tannins and a rounder feel. This wine has a higher level of residual sugar adding to the ripe watermelon finish. Balance called it the perfect rosé for Thai curry, only $13 a bottle. A by Acacia 2015 - This blend of Barbera, Grenache, Syrah, Tannat and Tempranillo is a deeper salmon color than the previous two wines. It is offering up a mix of baking spice, dried fruit, apricot and citrus with a slightly smoky, lightly oxidized note in the long finish. A bit fuller bodied than than previous two, Balance said she would enjoy this wine with roasted pork and root vegetables, only $12. The next three are from the same 19th century chateau in St Tropez in Southern France and shared a paler onion skin pink color. Chateau Minuty is located by a protected woodland area and farms without pesticides or herbicides. saline minerality in the lingering finish. Balance suggested this wine be served with crudites and tapas. Deliciously affordable at $17. 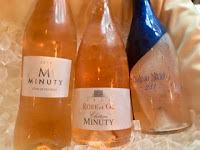 Minuty et Or 2014 - This wine is Grenache and Tibouren and shows more depth with bold sweet citrus aromas with subtle berry and citrus flavors, baking spice and a savoriness in the lingering saline laced finish. Also dry with a medium body, Balance thought this wine to be an excellent pairing for bouillabaisse or sushi. A step up in price at $36 a bottle, elegant, interesting and worth it. Minuty 281 Rosé 2015 - This luxury offering has subtle aromas of white peach with mixed red berries with baking spice and an iodine laced finish. This wine is dry, rounder feeling with more weight, a slightly fuller body with a richer textural component making it a good partner for grilled tuna or octopus. Only $56 for this top tier bottle from a classic producer. All six of these wines are highly recommended for springtime sipping and beyond. *Tasted on February 20, 2017. 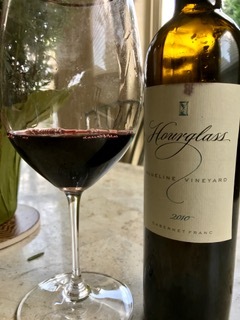 The Hourglass Blueline Vineyards Cabernet Franc 2010 is deliciously drinkable with a surprisingly small amount of sediment in this 7 year old half-bottle. Less earthy than the Loire; fruitier with blueberry and plum, fresh mineralty, soft tannins and a bit of Indian spice in the lingering finish. I will be seeking more of this, highly recommended. 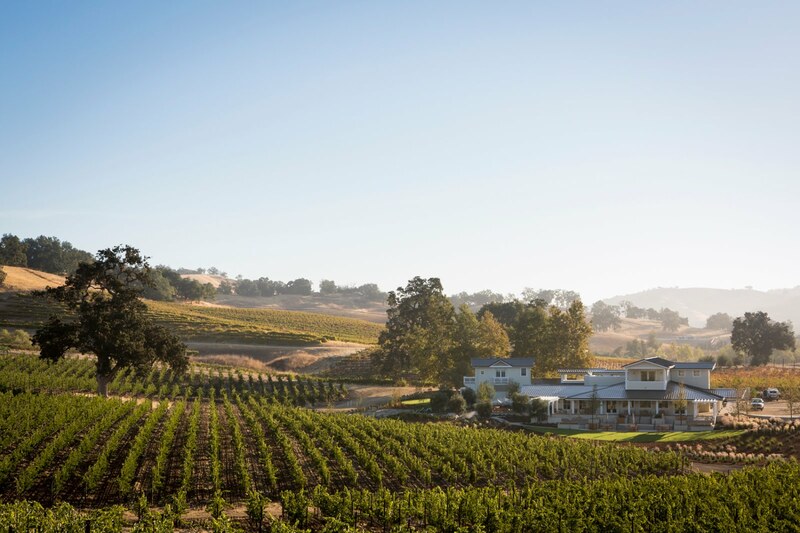 The 20 acre vineyard in Calistoga is named for two meandering streams that frame the property. 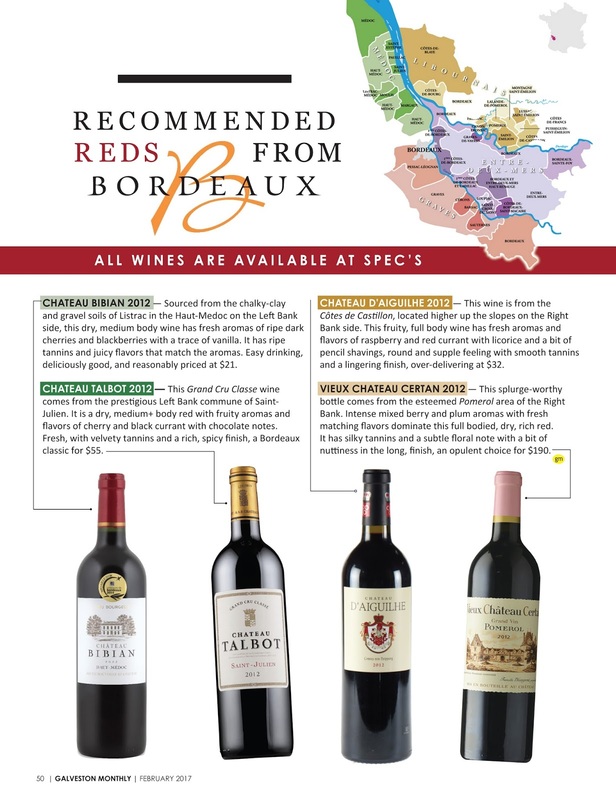 The Cabernet Franc is planted on the cobble and sandy loam soils of an ancient dry riverbed. Purchased by my husband a few years ago, I was not able to find this anywhere locally. Find other vintages of this wine at Wine Searcher. This wine contained 15.2 ABV. 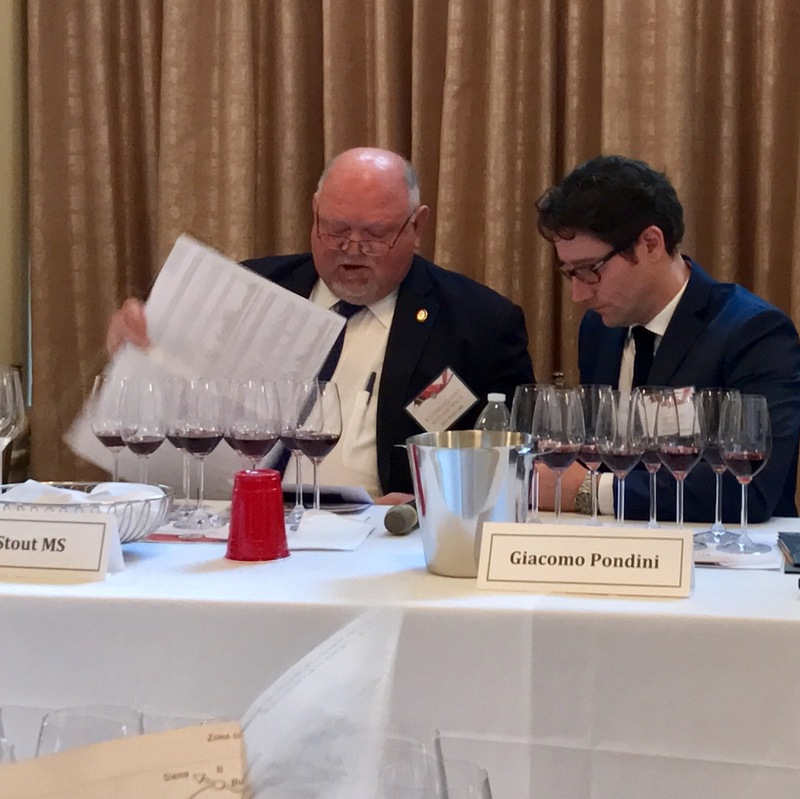 The Consorzio del Vino Brunello Montalcino was in Houston last month giving local media and wine professionals the opportunity to taste the newest vintage of the region's premium wines. 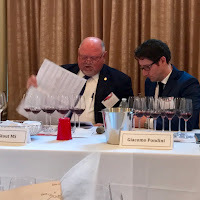 Guy Stout, Houston's first and favorite Master Sommelier, led the guided tasting and seminar with Giacomo Pondini, president of the Consorzio. 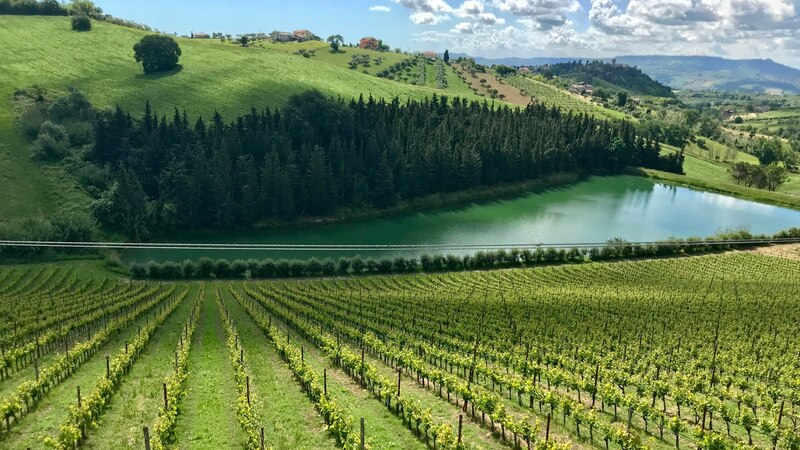 He opened with memories of the sights and tastes of his own visits there and assured the attendees that "Montalcino is a sweet spot on planet Earth"; encouraging those who not been, to go. 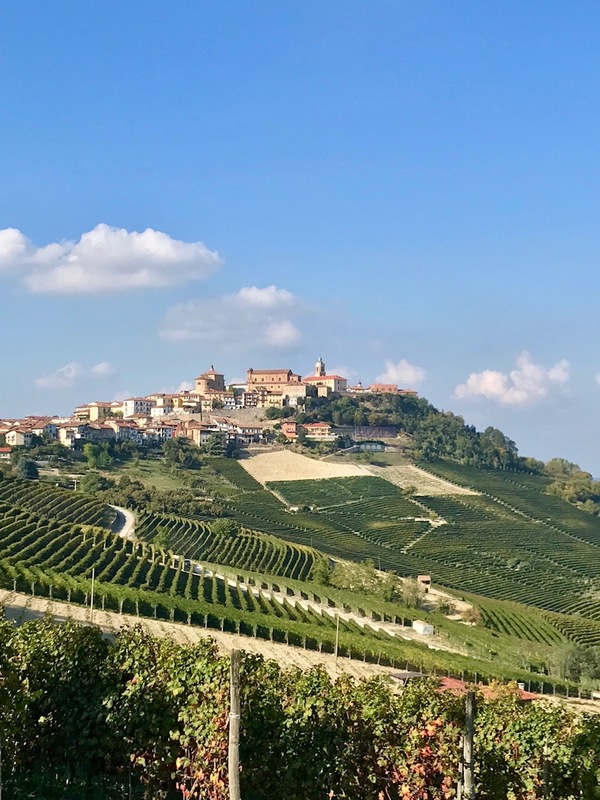 The Consorzio has given the 2012 vintage its highest rating of 5 stars and Stout said tasters should expect the wines to be "fresh, fleshy and upfront." The wines are all made from 100% Sangiovese and come from the Montalcino region of Italy. 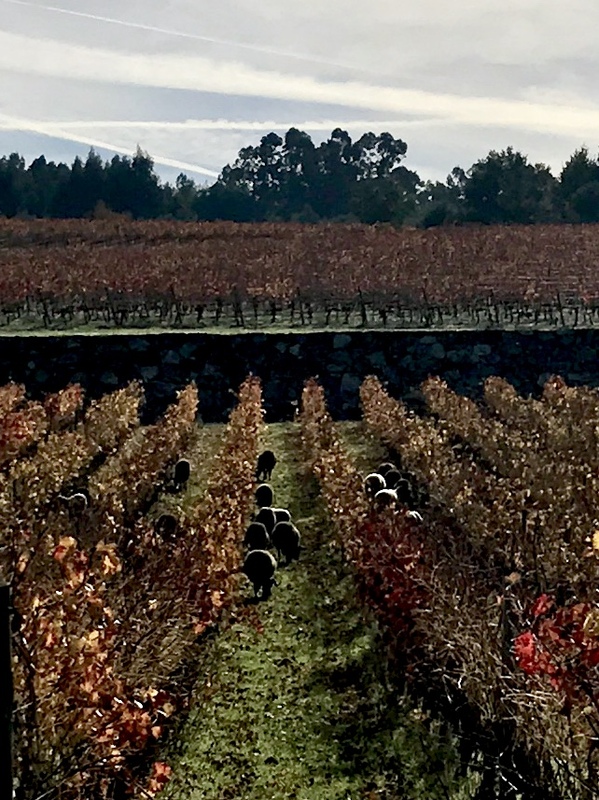 Stout went through the region's stringent production regulations and reminded attendees that wine style is always influenced by the choices of a winemaker in regards to barrels and aging. All of the wines are highly recommended, consider picking one up soon. As Guy Stout concluded, "Everyday is a good day when you are drinking Brunello!" 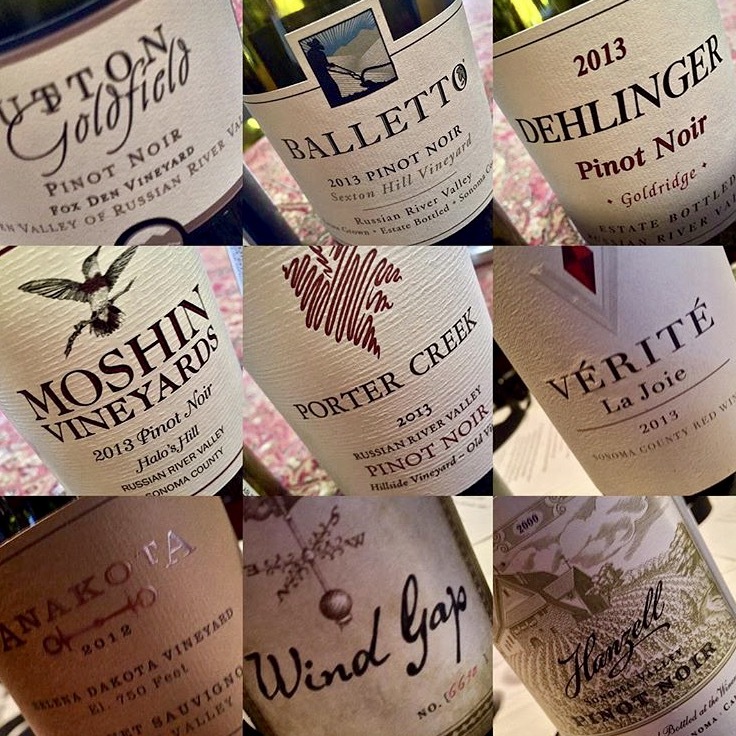 Wines tasted on January 19, 2017. Also pictured in the collage is the Barbi Brunello di Montalcino, a favorite from the walk around tasting.